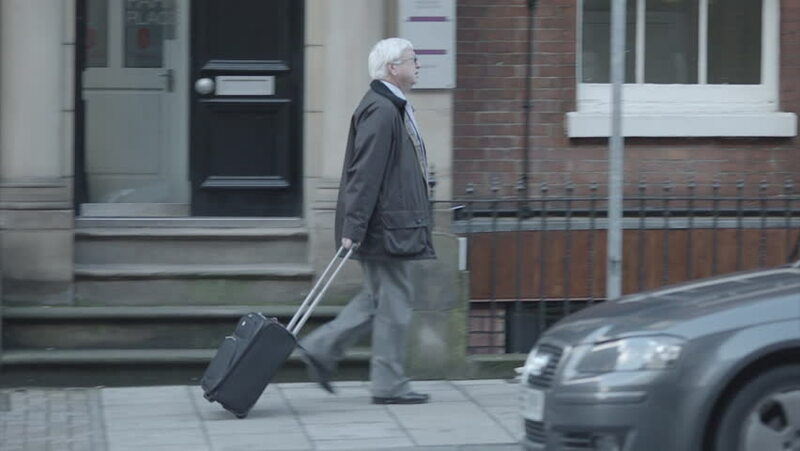 England - CIRCA 2014: Leeds, UK city, Elderly commuter walking down the road, crossing the street with rolling suitcase on a wet day. 4k00:174K Anonymous crowd of city workers and tourists walking over London bridge, past a sign commemorating the opening of the bridge. Shot on RED Epic.